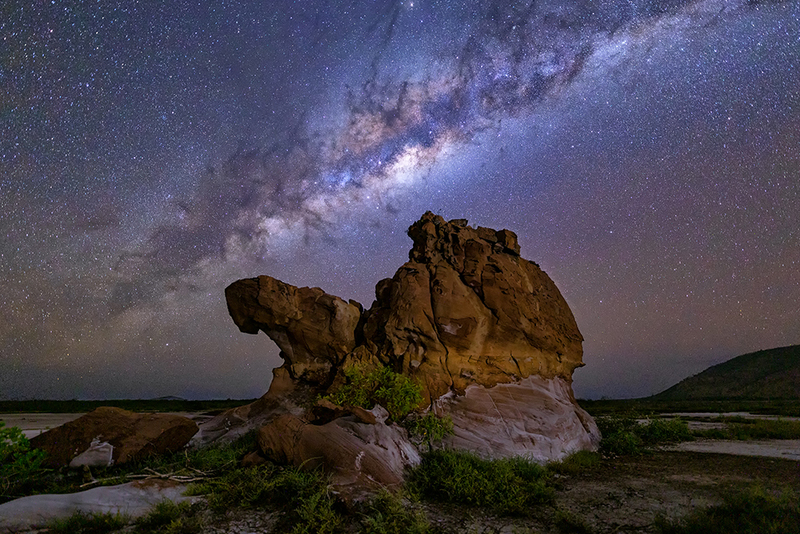 Develop your skills as a photographer, build an incredible portfolio, and immerse yourself in one of the worlds last frontiers, the majestic Kimberley. 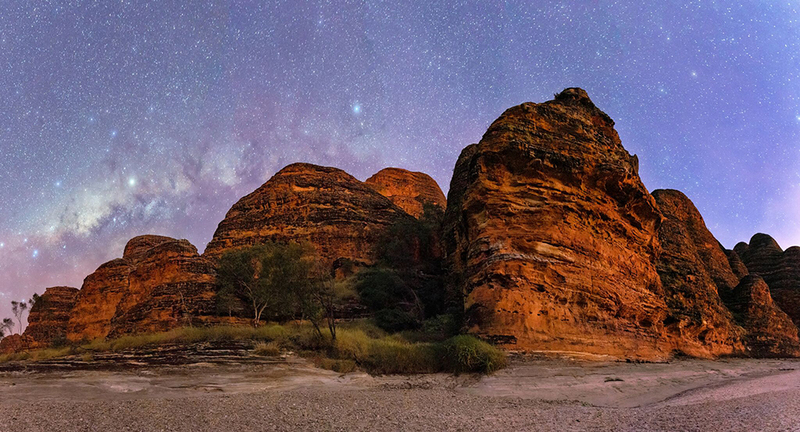 This eight day Kimberley photo tour in July 2020 is for amateur and aspiring photographers alike, and promises to expose you to some of Australia's most ancient landscapes that's offers unprecedented views of the Milky Way surrounded by grand landscapes and 1500 year old Boab trees. 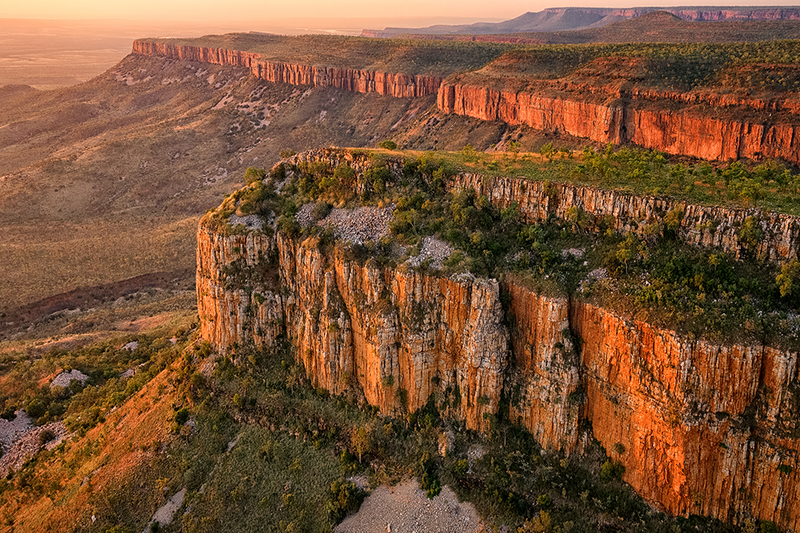 You will get to see many of the Kimberley’s most iconic sites over the duration of this photo tour, including the Bungle Bungles, Lake Argyle, El Questro plus many more that are not known to the common tourist and are off the beaten track. 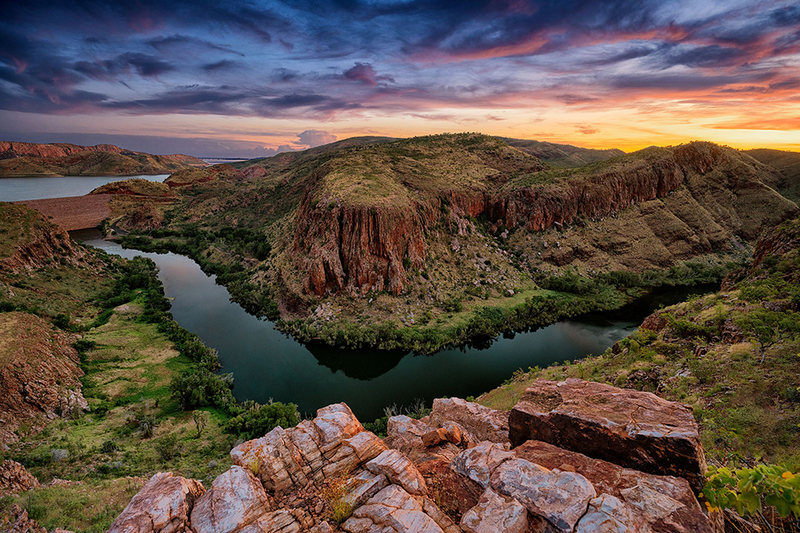 Your guides are not just expert landscape photographers; they are experts on the Kimberley and will be able to guide you to some of its best kept secret locations and little-known subjects, allowing you to take fascinating, unique images far from the crowds. At each destination, your photography guides will be on hand to ensure that you are making the most of the lighting and subjects available, so that you return home with incredible images you can be proud of. Post-processing is an important part of creating enviable photographs, so your guides will be able to lead you through post processing on your trip to ensure your Kimberley images are the best they can be. This is the most affordable professional workshop available in the Kimberley and with 8 days we guarantee clear unpolluted skies, stunning weather and a once in a life time unique experience. 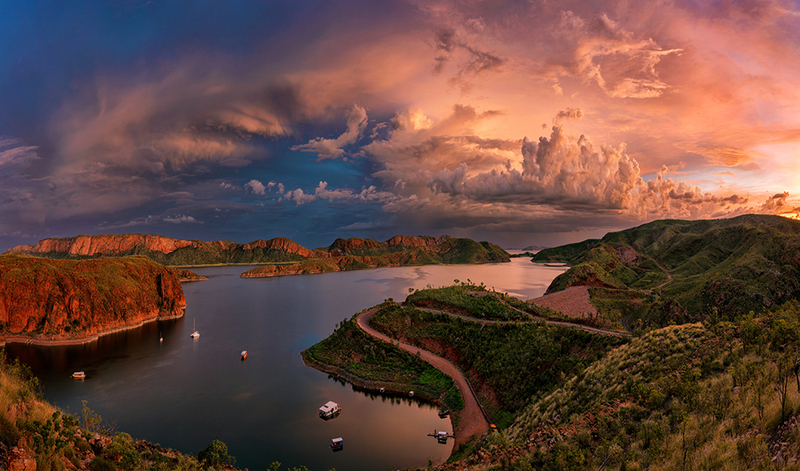 Our promise is that you will get striking images that will strengthen your portfolio from this incredible location. Meeting in Kununurra around mid morning, you will be greeted by our tour leaders Dale and Ben. We will get you checked you into your accomodation at the award winning Country Club Resort, do a familiarisation of the township and surrounds, go over the details of the workshop and get to know the group and answer any questions you may have. At 3:30pm, we will travel a short distance from town, shooting sunset into astronomical twilight at a location where the main feature is an ancient 1500 year old Boab tree. We will have dinner pre ordered, which we will eat on location under the Boab tree and Milky Way Galaxy for an unforgettable first night in the Kimberley. After breakfast at the Country Club Resort we will do our first post processing session for the workshop followed by lunch at one of Kununurra’s local hip cafes. As early afternoon approaches, we head to the mouth of the Ord River, to shoot one of the most unique rock formations the Kimberley has to offer, Camel Rock. Tour leader Ben guarantees you will be one of less than a dozen people to visit this rock this year and one of few people to have ever photographed it. Later that night, we are going to roll out the swags on the Salt pan marsh for an incredible nights sleep under the starts. This is the only night we offer 1 billion star accomodation during the tour. For those who are willing, we will shoot Camel Rock in reverse at sunrise where it will offer a totally new and unrecognisable perspective. After breakfast we will travel back to Kununurra where you will have a few hours to yourself to relax or meander around town. 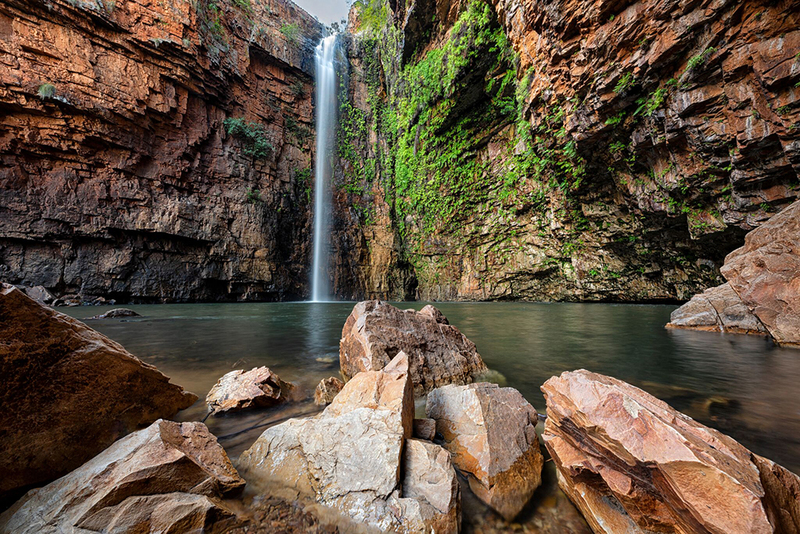 We will then travel to Lake Argyle which is only a 45 minute drive from Kununurra, get you checked in and head to one of the grandest gorges the Kimberley has to offer, Ord Gorge. We will shoot sunset into Astronomical twilight there before heading back to the resort for dinner. As we have an early start the following day the rest of the evening is yours to enjoy or you can join one of our tour leaders to photograph Lake Argyle under the Milky Way from a lookout which offers a terrific vantage point. Firstly, we will head out on the Lake for a sunrise shoot, breakfast and a swim in the invigorating fresh water of Lake Argyle. It is crocodile free and as they say, once you’ve drunk the water, you will be back! The next 2 days we are spending at what is considered the 8th natural wonder of the world, world heritage listed, Purnululu National park exploring and photographing the stunning Bee-hive domes. It is a 5 hour drive from Kununurra, a portion of which is on a gravel road with a few creek crossings. We will spend two nights here at the Bungle Bungle Savannah Lodge to maximise our shooting time and stay in absolute comfort. After breakfast at the Bungle Bungle Savannah Lodge we will travel back to Kununurra and get you checked back into your accomodation, then you will have a few hours to rest and relax before we head out to Diggers Rest in the early afternoon. Upon arriving at Diggers Rest, we will be amongst the most concentrated population of stunning Boab trees in the Kimberley. 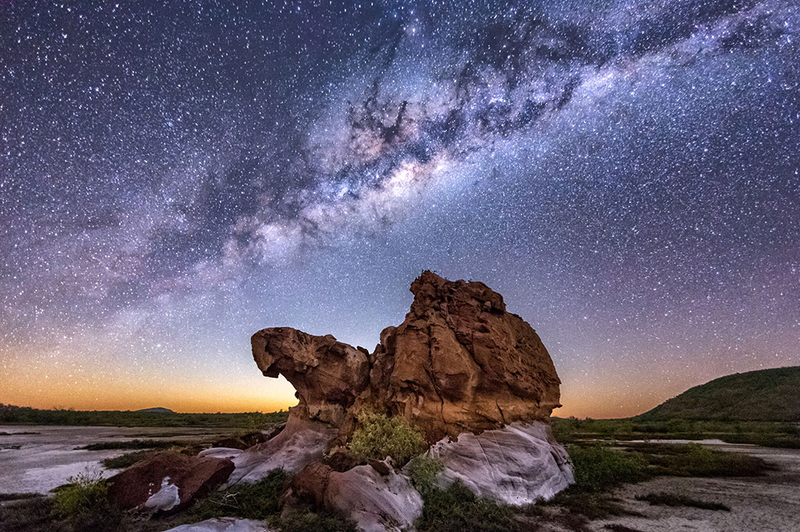 We will shoot sunset through to night to get some striking images of Boab’s and the Milky Way galaxy. After breakfast we will spend the morning doing a post processing session where we will fine tune your photoshop skills and provide you with the tools to be able to convert your RAW images into the true representations of the majestic Kimberley Landscape. You will then have a couple of hours to relax after lunch before we head to tour leader Ben’s favourite Boab location in the whole Kimberley. We will have a little bit of moonlight tonight which we will show you how you can use to your benefit as lighting the foreground without washing out the Milky Way. Later that evening we will travel 30 minutes back to Emma Gorge to stay in their stunning cabins. After breakfast at Emma Gorge, you will have the choice of following one of our guides on either the 45 minute walk up Emma Gorge - a picturesque walk over rocky terrain, which rewards you with a cool oasis and a 65 metre droplet waterfall, surrounded by cliffs adorned with greenery. If you do not feel fit to walk this track, we will offer a visit to the beautiful thermal pools of Zebedee Springs which is surrounded by ancient Livistonia Palms - which is a lovely place to soak and relax in the warm waters. Later that night we will enjoy the award winning and modern Cusine at the Pumphouse Restaurant in which the location rival’s that of any in Australia. Sadly, today is our last day. After breakfast we will ensure that you get to the airport to meet your flight. It is only 5 minutes from Kununurra so there will be time to relax and maybe check out any art galleries in Kununurra that may take your interest. Please note: As with all our tours, you will have access to our Flight Centre Corporate Team who help you book your fights to Kununurra at the best rate possible. You can book a flight that leaves any time on the 25th of August. Twin Share Accomodation - comfortable and unique sleeping arrangements (including the possibility to join tour leaders sleeping under the stars). We will be staying in a range of lodges (contact us for single supplement costs). If you are a local Kimberley resident, contact us for details of our discounted rate if you would prefer your own accommodation. All breakfasts included. There will be stops to allow for purchases of lunch and dinner. Below are some of the amazing locations you will visit throughout your workshop in the Kimberley. The tour is always dependent on weather, we cannot guarantee clear skies for astrophotography, but do promise to have a good time! A medium level of fitness is required for this trip, and there will be some short walks of incline. Options will be made if you do not think you can make the walks. We will be spending time outdoors, so we recommend good protective clothing and shoes.